The 1950s was a turning point in the world of art. In fact, the decade arguably witnessed more transformation than it had in the previous 500 years. Popular culture as we know it was beginning to take shape, as early globalisation and the cementing of modern capitalism drove demand for more life-enhancing products and services. Businesses started to realise that art was one way they could stand out from the crowd, so advertising became a new science, as corporations tried to keep up with consumerism by throwing money at making their products more attractive by developing logos, livery and slogans. Despite its original purpose being to parody commercial art, pop art continues to be used for marketing to this day. Let’s take a look at the early beginnings of this ground-breaking movement and the relationship between its artistic and commercial uses. The growth of advertising ran in parallel with the emergence of pop art. The phenomenon developed in both the US and the UK at roughly the same time – with the first true pop art pieces arriving in the late 1950s on both sides of the Atlantic. Many pop artists put industrially-produced goods at the centre of their work. These mainstream objects were often depicted ironically, which was groundbreaking at the time, when capitalism was generally viewed with scepticism by creative people. This was the time when business and art was fused together to create commercially successful visual work – so pop art resonated with huge audiences caught up in the new consumerism. 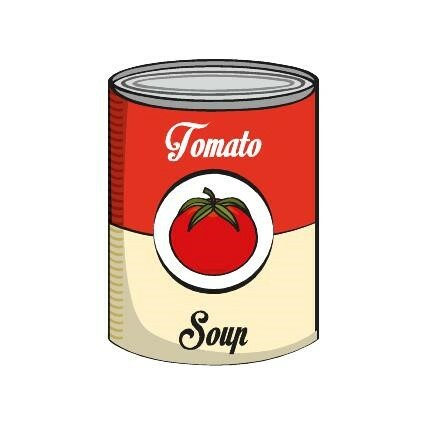 The pop art style as we now know it was really brought to life by Andy Warhol’s unique style and use of ink drawings and prints – notably the Campbell’s Soup cans brought to prominence during his The American Supermarket exhibit in 1964. Warhol had worked as an advertisement illustrator in the 1950s, and he used this experience to put creative spins on hugely recognisable images of popular culture – including the Coca-Cola bottle, Marilyn Monroe, and many more. Warhol became equally renowned for his unique method of producing art – screenprinting, which is where a stencil is placed on top of a sheet of paper, then ink is pushed through the stencil to create an image. Soon, the inked lines and watery colours of the comic book world were being applied to art all over the world, with famous works like Roy Lichtenstein’s Drowning Girl now almost the movement-defining image that people conjure up when pop art is discussed. While it was originally set up as a parody of the commercial art industry, the pop art style has enjoyed many commercial uses over the past 60 years – including in several recent campaigns. 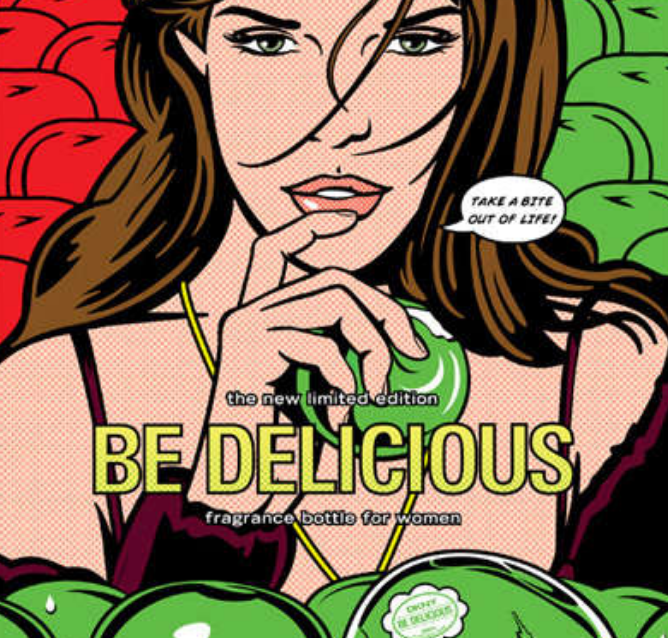 When DKNY’s Be Delicious fragrance range launched in 2004, it featured an image (which you can see above) of a woman in a classic pop art vector to promote it. This image included pop art’s signature Ben-Day dots, made popular by pulp comic books in the 1950s and 60s – showing they are still recognisable to the general public. You can see another example of pop art’s commercial uses in the launch posters for Dubai’s Burjuman Shopping Mall, which opened in 1991. The adverts step outside the usual bounds of retro-inspired advertising by incorporating a 1950s-inspired aesthetic that’s reminiscent of pop art. Luxury champagne maker Dom Perignon honoured Andy Warhol with a set of six pop-art-inspired labels in blue, red, violet, green, lilac and yellow – as a celebration of how much colour the artist brought into the world. Such is the appeal of pop art, the style has also made its way into the world of commercial packaging. Inspired by the work of Roy Lichtenstein, cartons for WOW! Chips for girls are emblazoned with a pair of seductive lips on the front and a Ben-Day dotted background. Even now, almost 60 years after the birth of the movement, we’re still celebrating pop art. It has certainly left its mark on modern artworks, design and of course advertising. In fashion, pop art dresses continue to inspire contemporary designers, and pop art furniture – which relies on a similar set of bright colours, plastic and rigid shapes. In addition, we still see regular homages, tributes and exhibits of original pop art works across the world – particularly at the Museum of Modern Art (MOMA), one of the finest museums in New York, and the ICA/. They are practically shrines to the pop art movement and homes to hundreds of pieces that are classified under the banner. Pop art has also influenced a vast amount of contemporary works. Artists such as Jeff Koons and Alex Katz continue to find success putting a playful spin on familiar objects – with Koons’ Balloon Dog one of the stand-out pieces of modern pop art. This is in addition to all the advertising parodies and imitations – demonstrating again why the movement has been so important. 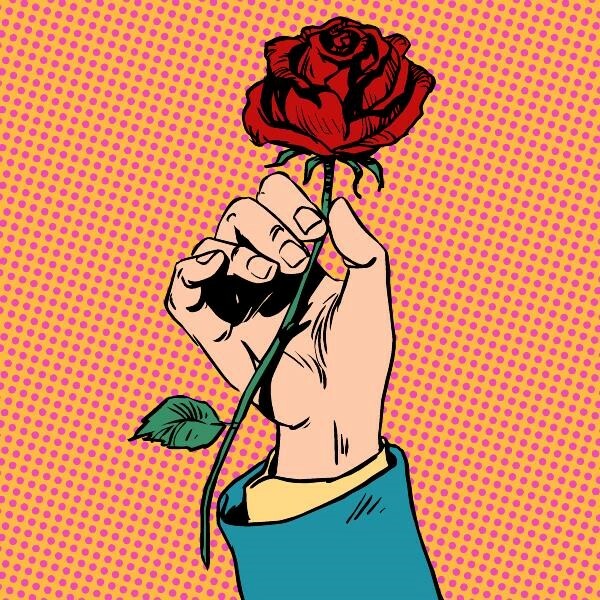 From the artwork of music duo Major Lazer, complete with bold colours and thick-ink edges, to Shepard Fairey’s Hope poster featuring former President Barack Obama, pop art is today being used to enhance other forms of art. 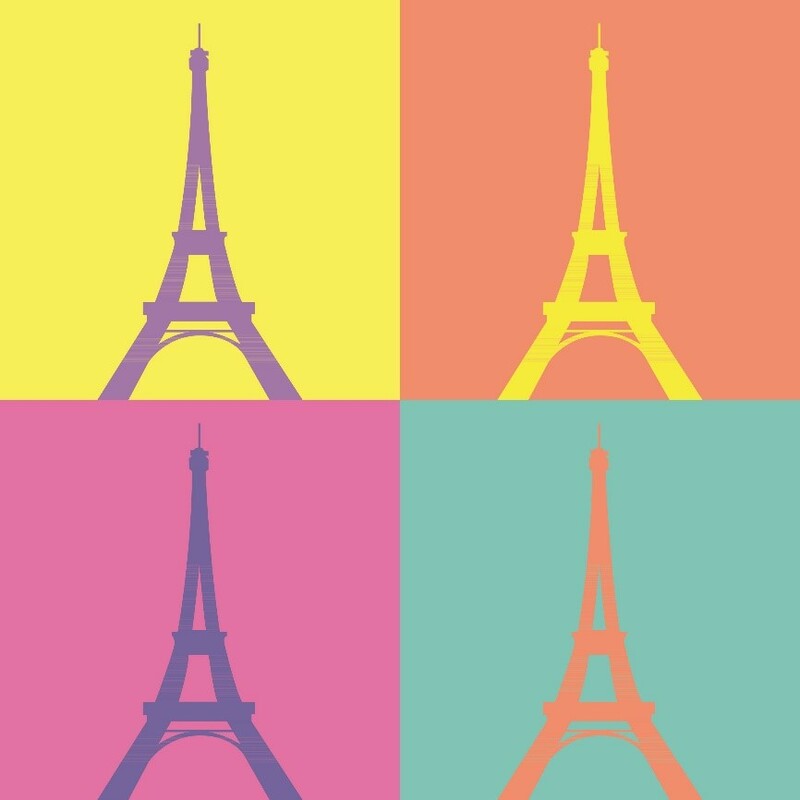 Even entire websites have opted for a pop art style, with cartoon-esque images and contrasting colours. Take the Wink Bingo website, for example. Having undergone a complete rebrand, it’s now in a comic book style, complete with white backgrounds, primary colours and Lichtenstein-style portraits. This type of website design is fun, vibrant and engaging, thanks to its use of this popular design that viewers instantly recognise – so richly embedded it is in popular culture, even today. Seeing famous pop art isn’t just restricted to famous galleries and museums like the Guggenheim and MOMA either. You’ll find at great selection of pieces at the UK’s Tate galleries, as well as independently owned pieces and local authority exhibits across the UK. Wolverhampton recently exhibited a huge range of famous and lesser-known works. In addition to this, the Saatchi Gallery in London has always been one of the best places to visit in the city but it has gone up a gear recently and it is currently celebrating pop art from all over the world. Although nothing beats seeing famous works up close and personal, you’ll also notice pop art everywhere you look. 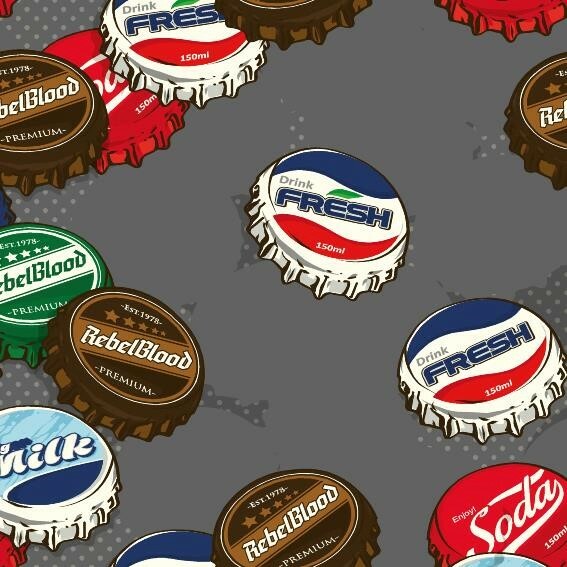 Such is the popularity of bright, bold colours and simplistic messages, that everyone from Ray-Ban to Pepsi have used pop art to make their products stand out from the crowd. Keep your eyes open the next time you see and advert or advertisement – chance are it won’t be long before you see one inspired by pop art.